Out There podcast airs an adaptation of These Two Lanes Can Take Us Anywhere, retitled The Truths We Hold, and an interview at the end featuring producer Jacqueline Sophia and cofounder Hebah Fisher. PRI The World airs an adaptation of our What’s in a Name episode. Raseef22’s top 5 podcast episodes of 2018 includes our story Open Sesame alongside our friends at Sowt, Fnjan, and Lebanese Politics Podcast. CairoScene names cofounder Hebah Fisher one of 18 of 2018 Egyptians who made waves this year. Public Radio International (PRI) airs an adaptation of our The Things That Can’t Speak story for The World. Wamda surveys the podcast and digital audio landscape across the Middle East and North Africa. CairoScene sits down with cofounder Hebah Fisher in advance to our fireside chat at RiseUp Summit. We talk about how we started KC and our vision for a podcast network. Lenny Says, a Spotify exclusive podcast, airs an adaptation of Her Side of the Story, beginning at ~26:00. HotPod, the Western podcast industry newsletter, features the growing Middle East podcast scene in an interview with KC managing producer Alex Atack and cofounder Hebah Fisher. Also published on Neiman Journalism Lab. 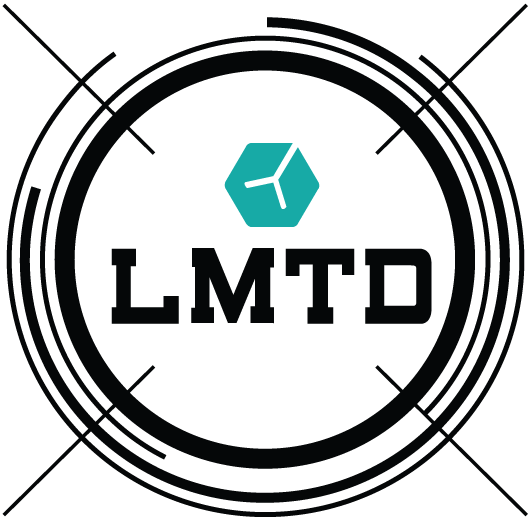 LMTD creative agency features Kerning Cultures in their #StartupSunday series. Haute Hijab publishes an adaptation of our episode, Not Just My Hijab, for their blog. Basel Meets, a UAE-based podcast, sits down with KC cofounder Hebah Fisher to talk about the podcast ecosystem in the Middle East and its commercial opportunity. 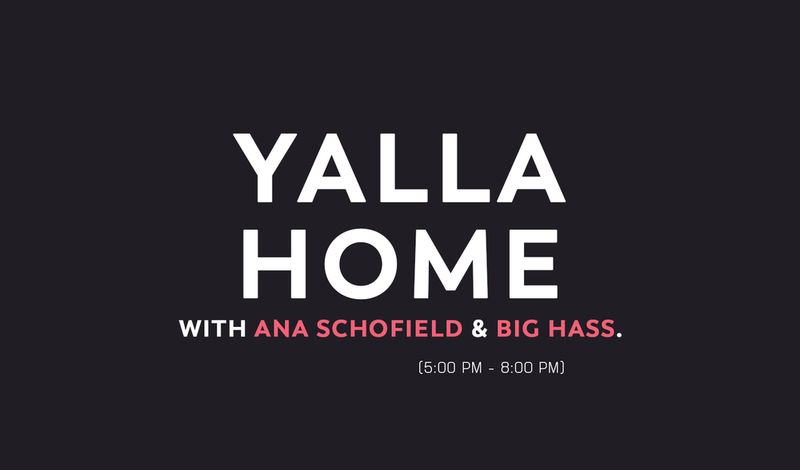 Kerning Cultures reppin’ the Yalla Home talkshow segment on Sharjah’s Pulse 95 radio today! Cofounder Hebah Fisher talks to Helen Farmer on Dubai Eye’s radio about Kerning Cultures, the podcast scene in general, and our favourite restaurants and books. Kerning Cultures cohosts the first-ever Middle East Podcast Forum in collaboration with MSTDFR, Amaeya Network, Dukkan Media, Anghami, and Wild Peeta. Read all about the 100+ attended forum in Communicate’s latest. Yours truly topping the “Best of” Lovin Dubai list of podcasts you should be listening to. A storytelling renaissance is flourishing in the Middle East, driven by podcasts from the region. Read all about it in Inside Arabia’s latest feature of Kerning Cultures. Tips for growing your podcast in a booming industry. IJNet talked to Hebah Fisher, co-founder of Kerning Cultures, to find out how we grow our listening audience. “Lend them your ears”: podcasts gaining popularity in the Arab World. Arab News’ appraisal of the digital media space and the growing opportunity of podcasts, like Kerning Cultures. International Journalists' Network spoke with Kerning Cultures about where our stories come from. Los Angeles Review of Books (LARB) goes beyond books to review our podcast, and what's next for Kerning Cultures. NPR's sports show Only a Game aired an adaption of our episode, following Egypt's path to 2018 World Cup. The Khaleej Times listed us as one of "UAE's Podcasters You Must Tune Into". 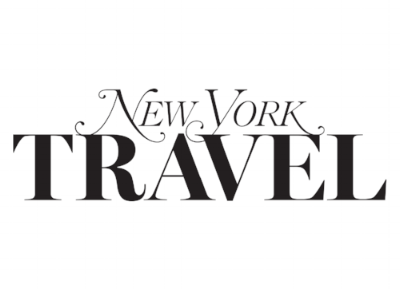 Featured on New York Travel's list of must-see/read/watch before visiting Dubai. We curated a list of our favorite podcasts from the Middle East for Radio Public. Friday Magazine interviewed our co-founders, Hebah & Razan, about their mission to change the narrative surrounding the Middle East through story-telling. Solutions Journalism featured our latest episode, The Mountain, as a piece of journalism with ground level voices, context, credibility. The Guardian featured Kerning Cultures in their Top 10 podcasts made by women! Happy International Women's Day, world! In collaboration with News Deeply, we released our first in a series on Women and Radicalisation. Our episode is featured on News Deeply's Women and Girls section. Nieman Lab features Kerning Cultures alongside our Jordanian podcast friends Sowt in their latest exploring how Arabic-language narrative podcasts connect with a new generation in a region with a rich oral tradition. Spoke goes behind the scenes of Kerning Cultures with cofounder Hebah Fisher in their monthly spotlight of podcasts. We're excited to join forces with Orbit Showtime Network's new platform, Asli, featuring original and local content from creatives around the Middle East. You can find your favourite KC episodes on Asli and be on the lookout for some news in the works! WHYY, an NPR affiliated radio station in Pennsylvania, USA, aired an adaptation of one of our earliest episodes, Finding Center, on their show The Pulse. The story is entitled, "To kick off Ramadan, Muslim astronomers rely on computer equations"
Emerge85 features a special reporting segment by Kerning Cultures on the Rise of the Filipino Middle Class in Dubai for The 85% podcast. Story begins at 23:37. Khaleej Times discusses the rise of on-demand audio and features Kerning Cultures as one of the UAE podcasts to tune into. Lovin Dubai names us among the Top Podcasts you should subscribe to - like, now. The Council on Foreign Relations recommends Not Just My Hijab for your weekend listening! Audiosear.ch sits down with cofounder Hebah Fisher to discuss podcasting in the Middle East, the region's long oral tradition, and the importance of new representative voices in mainstream media. Baraka Bits writes about how Kerning Cultures brings Middle East storytelling to a modern audience. Time Out Abu Dhabi listed us in their Top Ten podcasts to listen to this summer! Tunis-based podcast Tunisie Haut Debit featured cofounder Razan Alzayani in their latest episode, Startup Ep21: De Dubai à Tunis, l’industrie créative et les Podcasts (Partie 1). Hear Razan chat about building a podcast company in the Middle East, the power of technology today, and our upcoming episodes from Tunis. Gimlet Media's Startup podcast ran with our Serious Jolt episode to delve more deeply into the Port of Mokha business story, "Building the Perfect Cup of Coffee". This was our first major collaboration with a podcast we love, and we were thrilled to join forces. Cultural Lab Exchange listed us at the top of their 11 favourite podcasts to understand Muslim culture. Six Pillars aired our #17 episodes, Not Just My Hijab (a 2-part series) on 104.4FM London and on Resonance FM in Brighton, UK. NPR affiliate radio station KNKX features Kerning Cultures' adaptation of our Serious Jolt episode, "A Brewing War" (do you get the pun, coffee lovers? ha-ha!) among their 5 favourites this Sound Effects season. "The best way I can put [Kerning Cultures] is that this is a This American Life for the Middle East. It’s that good." Our latest referral by The Guardian. We are positively ecstatic. Seattle-based magazine The Stranger featured cofounder Hebah Fisher as a Person of Interest. Read more about how Kerning Cultures is "changing the way you think about the Middle East". The NPR affiliate Seattle-based radio station KNKX aired an adaptation of our Serious Jolt episode for their weekly series, Sound Effects. What's On Dubai named us as the first of four local podcasts you should be listening to, alongside our friends at the Dukkan Show. We're honoured, thank you! NPR's The Big Listen interviewed cofounders Razan Alzayani and Hebah Fisher for the show's weekly review of podcasts. This was such a huge moment for us! Our part begins at minute 20:53. Six Pillars aired our episode #14, Where Do We Go From Here? on air on 104.4FM London and on Resonance FM in Brighton, UK. Two adaptations of our latest episode, #14 Where Do We Go From Here? aired on Washington radio station KBCS-Bellevue College in February 2017. Clip 1 and Clip 2. We're featured in Vision Magazine as helping to grow the podcast scene in the Middle East. Kerning Cultures is listed on Bric's blog as 12 Muslim Artists, Storytellers, Comedians, Podcasters and Producers You Need to Know About. We just got listed as 5 podcasts to download on The National, listed among the greats such as Radiolab and Revisionist History. We're so honored! Our Co-Founder, Hebah Fisher, was listed as Entrepreneur of the Week on Arabian Business. We had the privilege of hanging our with OT and Reem for a great discussion on the power of storytelling in Dubai. If you haven't listened to The Dukkan Show already. Get on it. We're on NPR! Our Trump Episode was re-adapted and partially featured on Seattle's NPR Station KUOW. Kerning Cultures was featured in an interview with Time Out Abu Dhabi. We sat down with the writer to discuss why competition in the Middle East is a good thing. We're excited to be recognized in Stylist Arabia, we sat with Kerry Mcdermott to discuss the ever-changing media landscape in the region.